Authenticate with your QuickBooks Online accounts and Import your Chart of Accounts. Export your receipts to QuickBooks Online and categorize them during the process. 1. Authenticate with your QuickBooks Online accounts and Import your Chart of Accounts. 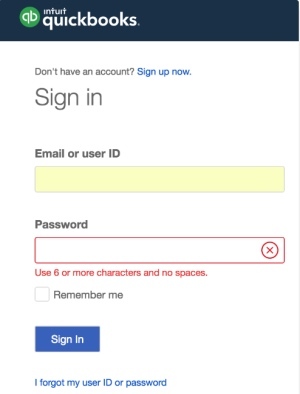 Then put in your QBO details to authenticate. 2. Export your receipts to QuickBooks Online and categorize them during the process. Click on the "Export All" button or if you want to export specific documents check the check box to select each item and select "Export Selected" option under the receipts tab. Then choose QuickBooks Online. Here you can link payment types to a specific account so that they will auto-fill for you. Next you will see your receipts grouped by vendor name. Link each one to the correct Expense Account from QuickBooks. Categories assigned within the Shoeboxed account have no impact on the export process. Receipts must be categorized during the export regardless of whether they have a Shoeboxed category assigned or not. Note you'll only have to do this once for every vendor as the system will set a rule for future receipts with same vendor name to be allocated that particular account! 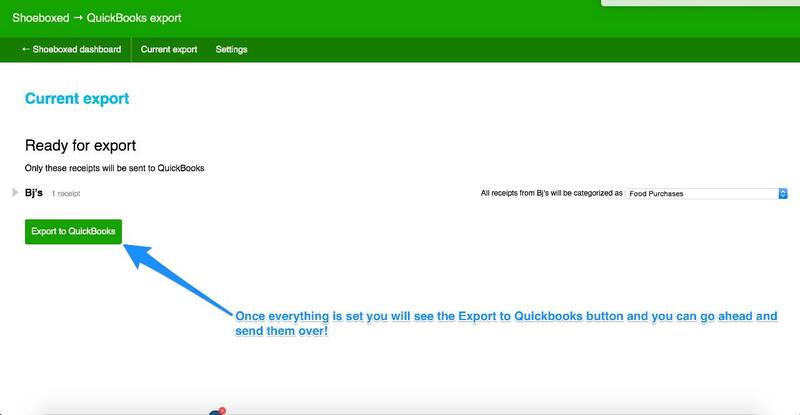 Click the Export all to QuickBooks and you're done! Your receipts will be automatically sent to QuickBooks as general journal entries. We will send an email when the export is complete. Shoeboxed exports will appear in Quickbooks Online under the Expenses tab.